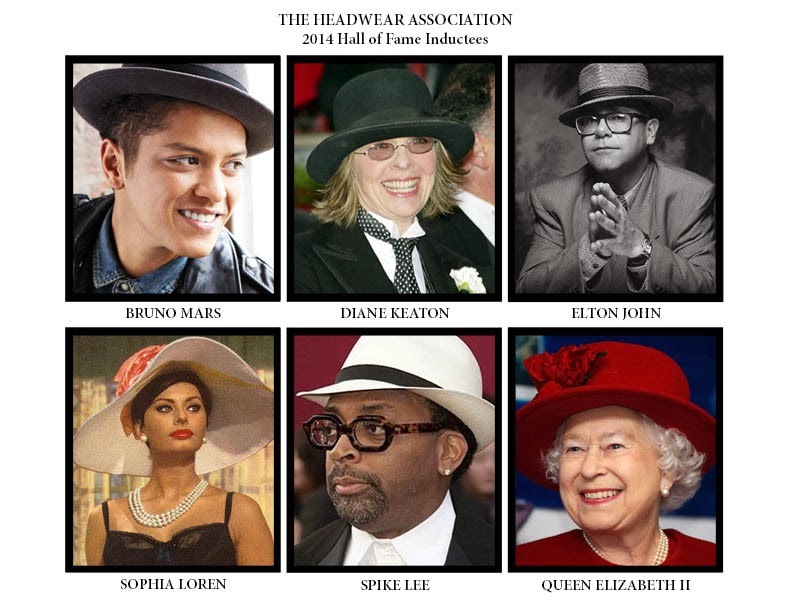 (LOS ANGELES) The Headwear Association (THA) has announced the inductees for the 2014 Headwear Hall of Fame, and this year’s honors go to Sophia Loren, Diane Keaton, Queen Elizabeth II, Bruno Mars, Spike Lee and Elton John. 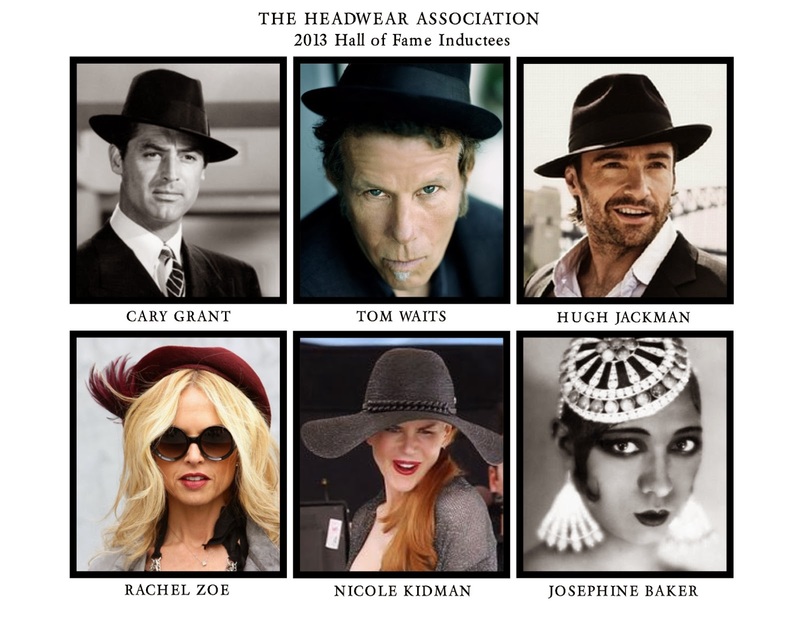 For more information on the 2014 THA Headwear Hall of Fame, you can visit the THA Website, or to see photos of all the 2014 THA Headwear Hall of Fame Inductees visit the THA Facebook page. 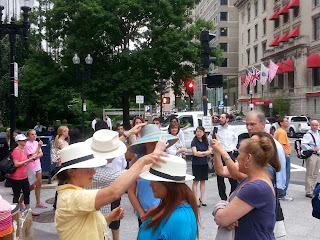 Be sure to LIKE the page to be registered for our monthly hat giveaways. Sofia Loren has appeared in more than 80 films and epitomizes old Hollywood glamour. 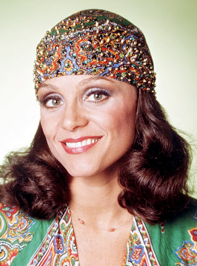 The Italian-born actress has worn hats throughout her esteemed 64-year career, and at 79 is still regaled as one of the most beautiful women in the world. Whether she is wearing a dramatic wide brimmed hat, a fanciful feathered creation or even a simple headscarf, no one wears a hat quite like Ms. Sophia Loren. Diane Keaton has perfected the masculine-meets-feminine look. There's no denying that Diane Keaton single-handedly brought the menswear trend in vogue, and women have been imitating her timeless style ever since. She debuted the look complete with wide-leg trousers, neckties and bowler hats in her iconic performance in "Annie Hall," and she has stayed true to her signature style ever since. It seems as if Keaton has a hat in every color, and can be seen wearing them on and off the red carpet, as well as indoors and out. THA honors her legendary style with an (Annie) Hall of Fame nod. Queen Elizabeth II is rarely seen without a hat and has worn more than 5,000 different hats over the past 50 years. Since her accession to the throne in 1953 at the age of 25, Queen Elizabeth II has worn a wide variety of styles, from faux-flower swimming caps in the early 1960s to dramatic wide-brimmed milliner creations and furry winter-weather Cossack hats. 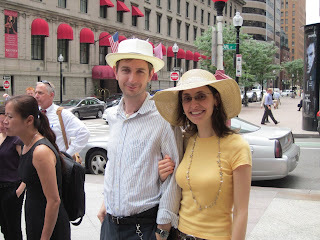 The hats represent more than simply a fashion statement, according to royal biographer Robert Lacey. 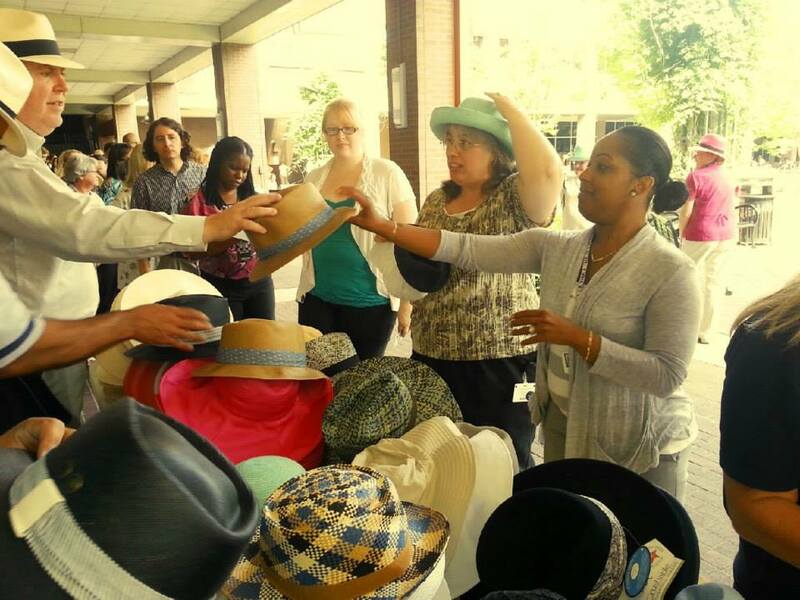 "Hats, you see, are obviously very significant items of clothing in a monarch," Lacey said. 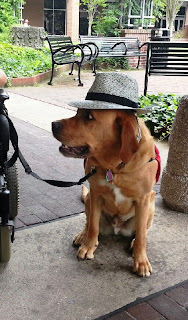 "You could say when she's wearing a hat that she's wearing a sort of crown substitute." Spike Lee is a legendary American filmmaker and a hat connisseur. Since 1983 he has produced 35 films and has been a commited champion of race relations. 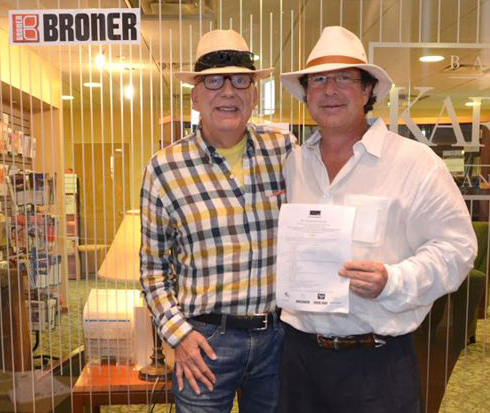 Recognized not only for his social activism but also for his distinctive urban fashion, he is the quintessential hat aficiando and has worn virtually every hat style out there. 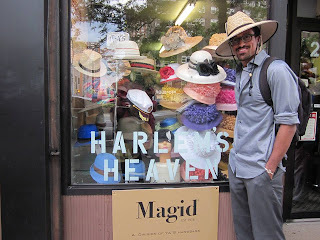 Spike Lee is known for his signature Brooklyn cycling cap, but has also been seen in fedoras, bowlers, NY Knicks ball caps, driving caps and even berets. When it comes to fashion, you can always be assured that Mr. Lee will do the right thing. Elton John is a genius songwriter and performer known for his eccentric fashions, and he has made dramatic headwear part of his statement costumes throughout the decades. His outlandish looks in the 1970s included feather headdresses, galaxy-themed hats, furry Russian-inspired looks, an Eiffel Tower topper, band leader hats and dozens of other whimsical creations. In later years, the Rocket Man adopted a sharp-dressed man persona, pairing suits with top hats, boaters, panamas, fedoras. Thank you, Mr. John, for decades of hits and show-stopping fashions. Members of The Headwear Association nominated more than 50 legendary hat wearers, living and deceased. 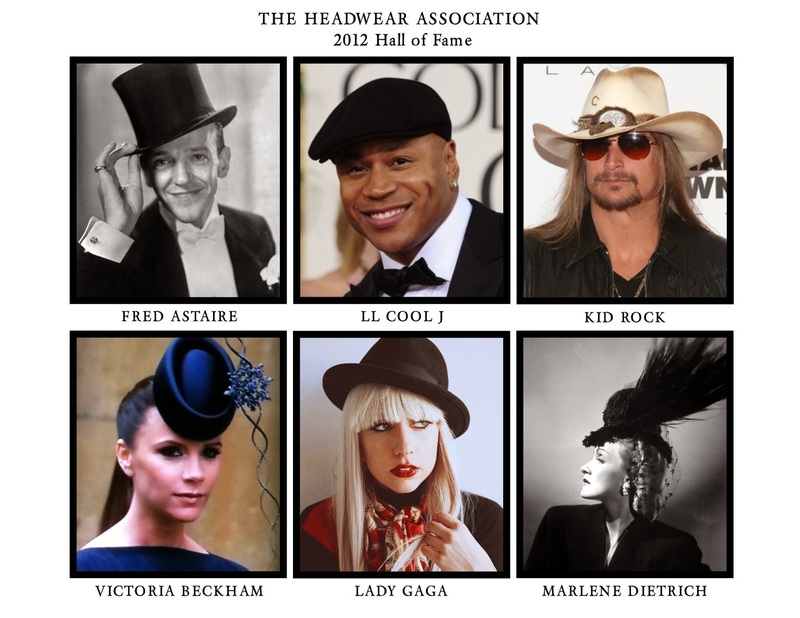 The Headwear Association board of directors voted and approved the final six honorees who will be formally inducted into The Headwear Hall of Fame at the 106th annual THA Gala event at The Central Park Boathouse on April 24, 2014. 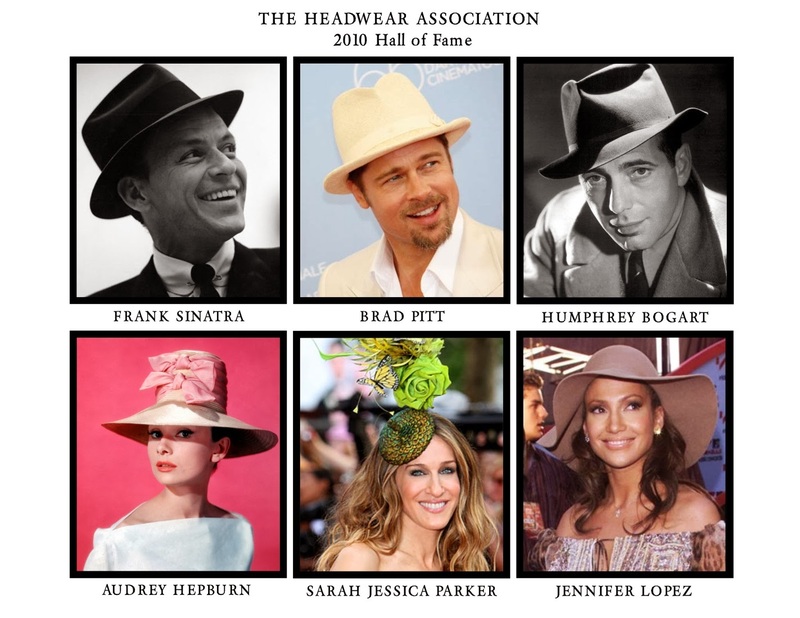 The Headwear Association is a 105-year old trade association, the oldest in the fashion industry. 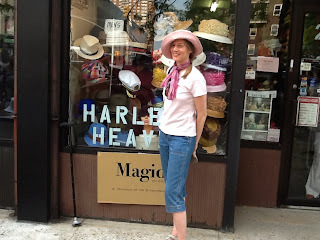 Our birth was a chance meeting of traveling hat salesmen in 1907 who had just finished their seasonal selling trips in NYC. The first dinner was held at the Waldorf Astoria (then on 34th Street) on January 30, 1908 with 34 industry members present. 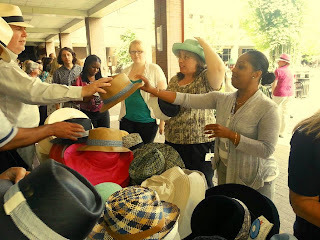 Our mission is to promote hats and the headwear industry throughout the world, and to foster goodwill and fellowship among those engaged in the headwear industry. The 106th annual THA Gala will be held at The Central Park Boathouse on April 24, 2014, and is open to anyone in the fashion and headwear industry. Oh, how we love a head scarf. They exude classic 70s chic bohemia and transform an outfit with a simple twist. They are functional fashion for women suffering from hair loss, and they offer an alternative to wigs and hats. The new Danish-designed Christine Collection from Wallaroo features scarves and turbans that are comfortable, beautiful and versatile. 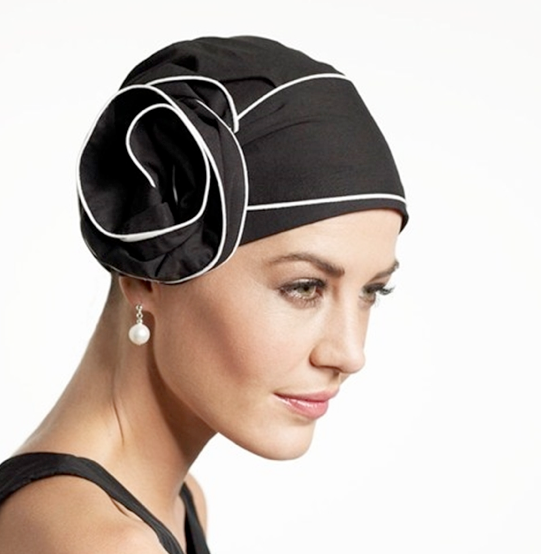 When Wallaroo designed the Christine Collection, the intention was to provide medical patients who had lost their hair with a comfortable, fashionable headwear option. But the company soon found themselves writing orders for boutiques who loved them as a fashion statement and wanted to stock them. 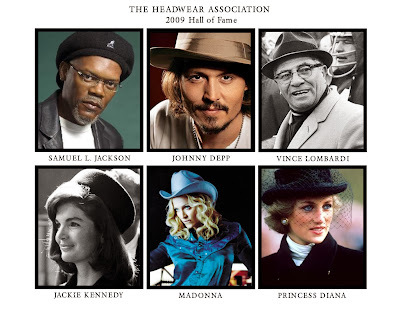 Not surprising, as the headscarf has an illustrious place in the history of fashion. Take a look. The one and only Bridgette Bardot. Magnifique! 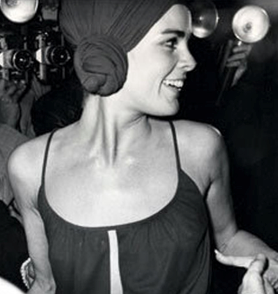 Ali Macgraw was known for the look, and wore them effortlessly. Hello Studio 54. 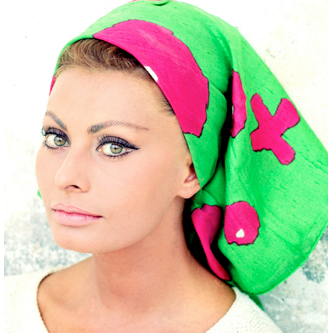 Sophia Loren rocked a glamorous head scarf like nobody’s business. 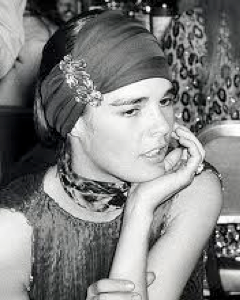 And the Reigning Queen of the headscarf – our girl Rhoda Morganstern. 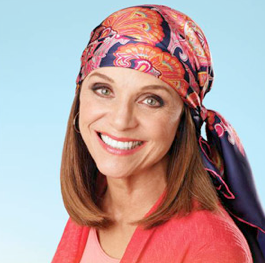 Valerie Harper, you are an inspiration. You sent a message of power after being diagnosed with terminal brain cancer with an impressive turn on Dancing with the Stars. At the age of 74, no less. The Wallaroo Christine Collection was designed with brave women like you in mind, beautiful survivors. The Basic Easy is just that - easy to put on and easy to wear. The long ends have been tied and fixed together so all you have to is slip it on! If you like, your look can still be customized by tucking or tying the ends into a knot or bow. Silk fabric makes this a dressier option too. For the most styling options, the Basic Long lets you tie the scarf yourself. First, the two long ends can be tied in the back or on the side. Then you can try knotting them, tying them in a bow, or tucking them in for a chic chignon look. Choose from ten colors in two fabric options: cotton for comfort and structure, or bamboo - ultra-soft and moisture wicking. You guessed it! 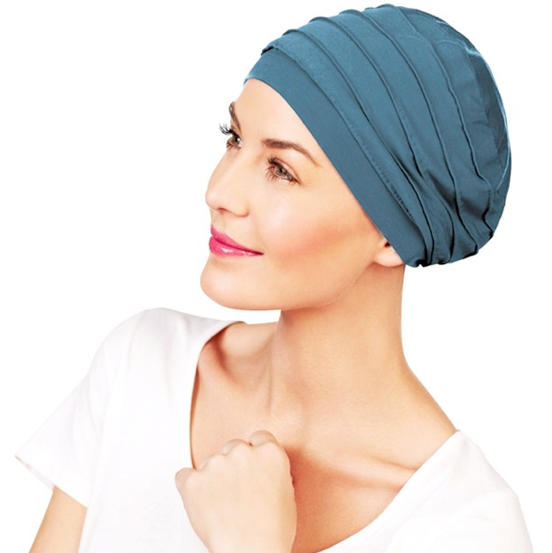 This turban is perfect for wearing to yoga class, on a cruiser bike ride or just around the house. The ultra-soft bamboo fabric is moisture-wicking, which provides cooling comfort on those humid days. Available in six rich colors. 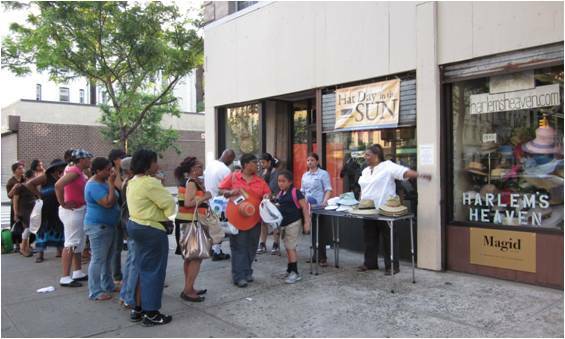 Skin cancer is the most common of all cancers, and 90 percent of all skin cancers are caused by sun over-exposure. 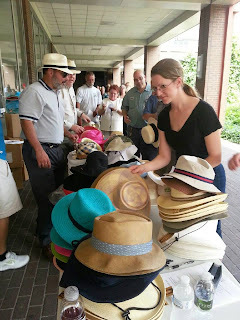 The Headwear Association (THA) hosted their sixth annual “Hat Day in the Sun” on Wednesday, June 26th, to help arm people in the fight against skin cancer. 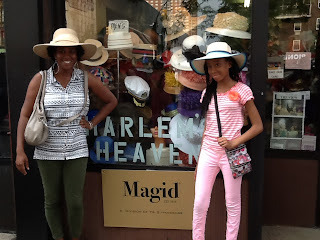 Hat Day in the Sun is an annual national public awareness campaign to educate adults and children that the right hat can protect against skin cancer, sun damage, and premature aging. To celebrate this event, THA members gave away FREE wide-brimmed sun-protection hats in cities across the country, including New York, Los Angeles, Boulder and Detroit. 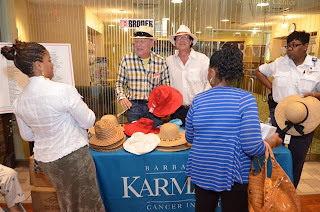 The free hats were provided by Broner Hats, Dorfman-Pacific, Bollman Hat Company, Magid Hats, Wallaroo Hats, Korber Hats and San Diego Hat Company. 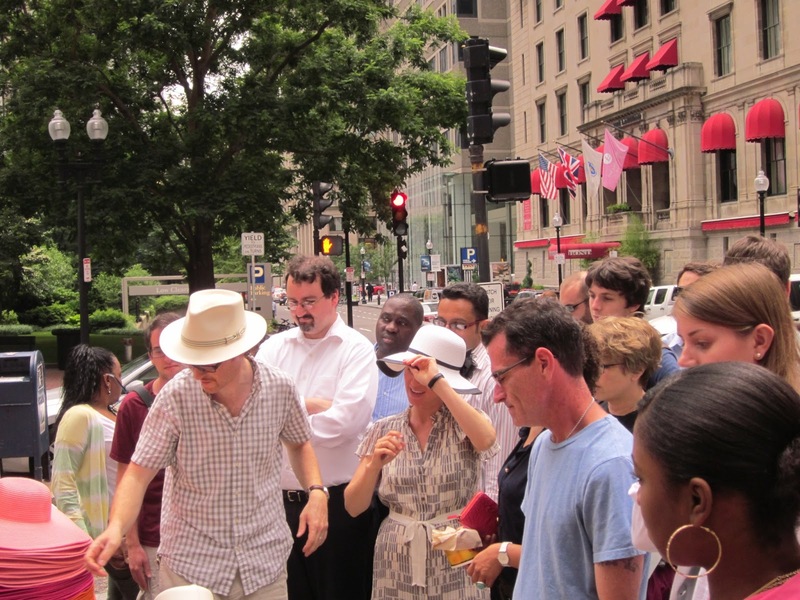 •About 76,690 new melanomas will be diagnosed (about 45,060 in men and 31,630 in women). The rates of melanoma have been rising for at least 30 years. 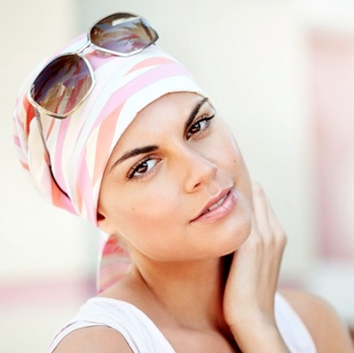 •About 9,480 people are expected to die of melanoma (about 6,280 men and 3,200 women). Opaque Materials. The denser the fabric, the higher the UPF. Choose close-weave fabrics or tightly woven straw. 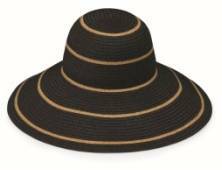 Many hats have been tested for sun protection qualities, and include an Ultraviolet Protection Factor (UPF) number on the label. 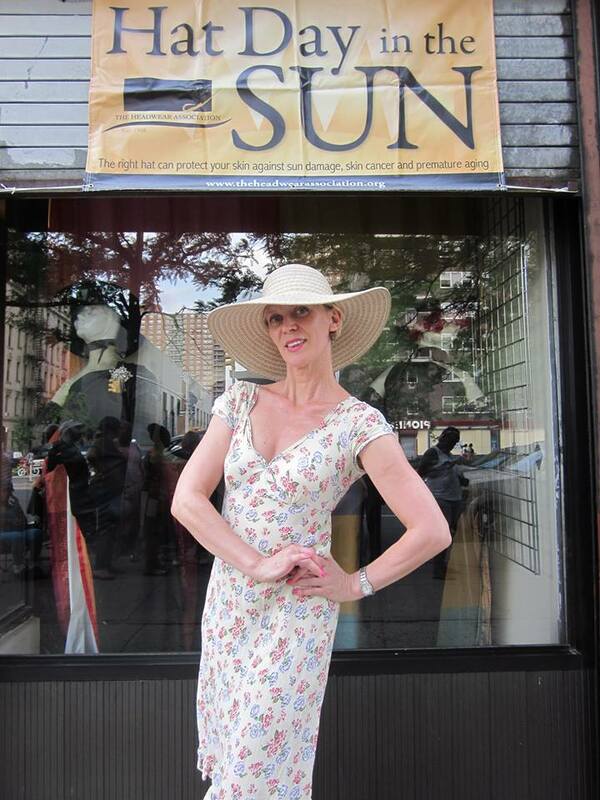 Fabrics are rated with a UPF rather than SPF, which only applies to sunscreens. UPF labels indicate how much of the sun's UVR is absorbed by the product's fabric. 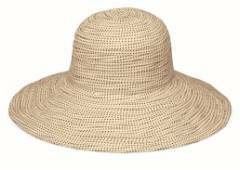 For instance, a hat with a UPF of 50 allows just 1/50th of the sun's UVR to reach the skin. Enjoy some pictures from different locations during Hat Day in the Sun 2013! 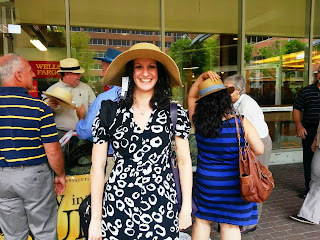 For more information about sun protection hats visit www.TheHeadwearAssociation.org. 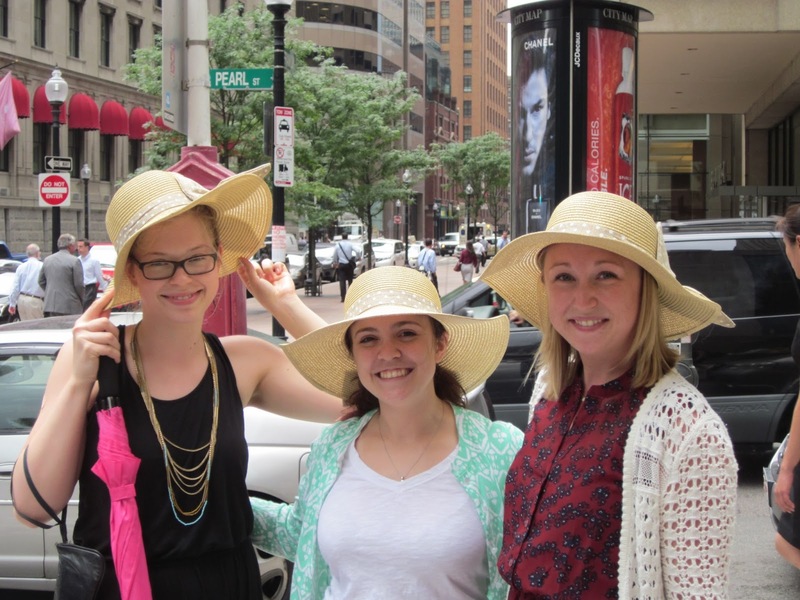 Forget tanning, now that skin cancer is the leading cancer in the United States, sun protection is the latest trend. With today’s skin cancer discoveries, it is vital that those who participate in outdoor activities take necessary precautions to protect their skin and scalp from the sun’s harmful rays. 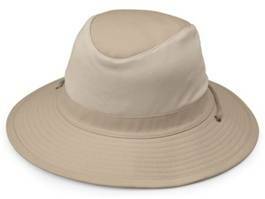 Wallaroo Hat Company offers UPF 50+ sun-protective hats, ideal for those who live active, outdoor lifestyles. Made out of canvas, microfiber, raffia and poly-straw, the hats are extremely versatile and packable. The Savannah Perhaps Wallaroo’s most fashionable hat, this hat provides more shade than any other hat with its 5” brim that keeps you from squinting. The Ellie Its bucket style shape allows you to enjoy all outdoor activities, while blocking the sun from your eyes and scalp. 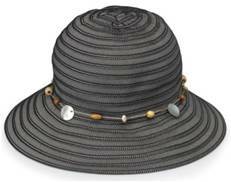 This flattering hat features wooden beads and shells. The Scrunchie A Wallaroo best-seller now has two new colors! 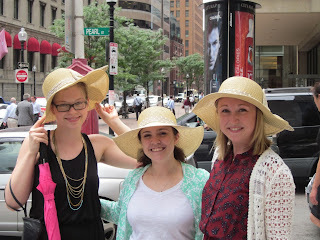 The wide wire brim shields you from the sun and can be easily shaped. The Jackson Whether it’s hiking, golfing, or a day at the beach, this breathable hat is ideal for any man’s outdoor pastimes with its lightweight, comfortable fit. Petite Scrunchie Now children can look just like mom in their own Scrunchie. 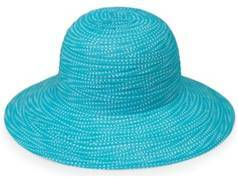 The 3 ½” brim allows kids to play for hours without sun in their eyes or sunburn on their scalp. 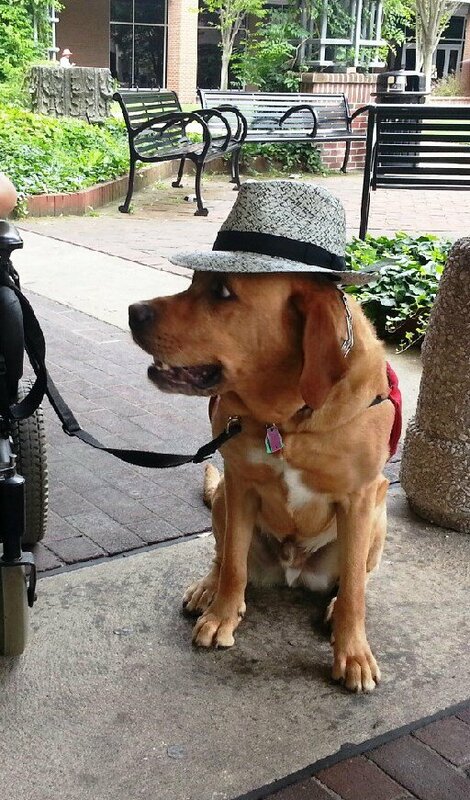 Wallaroo Hats are stylish, practical and packable accessories, designed for those who spend a lot of time outside and traveling. This versatile hat collection has a hat to protect everyone, with many trendy styles for women, men and children. Key features of the line include adjustable drawstrings, crushable fabric, and extra wide brims. 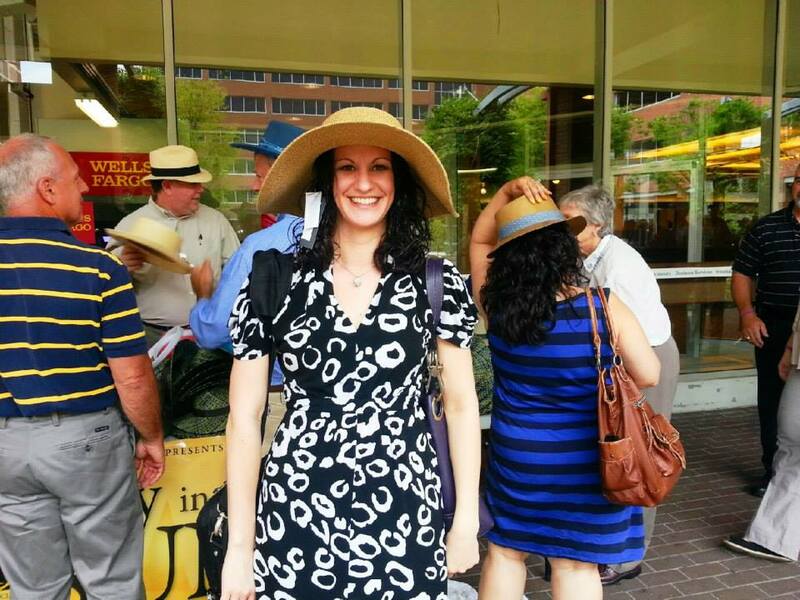 Based in Boulder, CO, Wallaroo Hat Company manufacturers an Aussie inspired line of UPF 50+, colorful, fashion-forward everyday hats. Wallaroo was founded by Stephanie Carter and Lenya Shore in 1999 after a trip to Australia where they discovered the Aussie secret to sun protection. 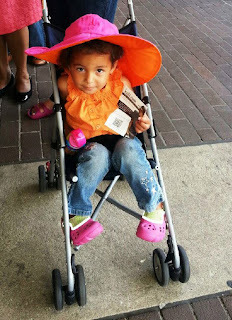 Wallaroo hats are available at www.wallaroohats.com, in catalogues and more than 4,000 retail stores throughout the U.S. For more info, visit www.wallaroohats.com.